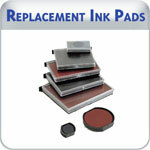 Replacement ink pads and stamp pads for office or industrial stamps. 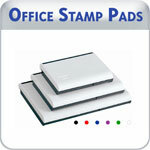 This includes metal case stamp pads, stone stamp pads, the Mark II Reversible Pad System, oversize stamp pads and Marsh RM50 stamp pads. 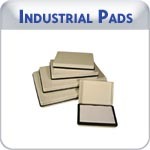 We carry replacement pads for all Shiny stamps, and many other brands such as Cosco, Justrite, Comet, Eagle-Zephyr and Lion Brand automatic numberers. If you do not see what you are looking for, please email us or call 877-424-5395.